The 1Touch Audit Trail kit is compatible with the 1Touch evo3 AT model (audit trail capable). 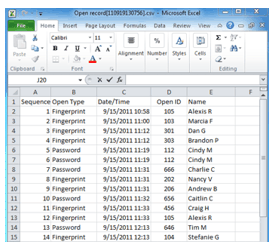 The audit trail is a hand held device that allows for encoded information to be exported into an excel spreadsheet to gain information on who, when, what time, and how someone was able to or unable to gain access using the 1Touch lock. An increase in business use has encouraged more 1Touch users to use the Audit Trail kit and its software. 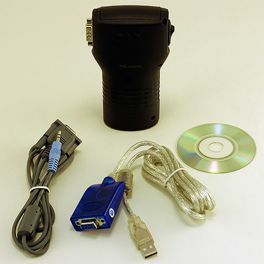 Knowing who has accessed a secure filing closet and when is easily procured through the USB connection. Home owners find the spreadsheet to be useful when using home cleaning services and other companies that you may give access too. Have an audit trail of who used your lock!